Rapamycin slows the progression of polycystic kidney disease. Polycystic kidney disease (PKD) is the most common genetic cause of kidney failure. Studies on the molecular pathogenesis of PKD have begun to yield new potential therapies for the disease. For example, a drug that blocks the V2 vasopressin receptor has been shown to induce regression of kidney cysts in a mouse model that is orthologous to human ADPKD, and clinical trials of the drug have begun. In this issue, Charles Edelstein and colleagues publish a Fast Track article (pages 46–51) showing the efficacy of the immunosuppressive drug rapamycin in the Han:SPRD rat model of PKD. Their studies show that rapamycin reduces the proliferation of cyst epithelial cells and improves kidney function. Interestingly, the proliferative activity of non-cystic tubules is also reduced, which suggests that increased cell proliferation precedes the onset of cyst formation. Although long-term safety needs to be evaluated and the results need to be confirmed in an orthologous animal model, these exciting findings raise the possibility that a drug that is already approved for use in humans may be useful for treatment of PKD. 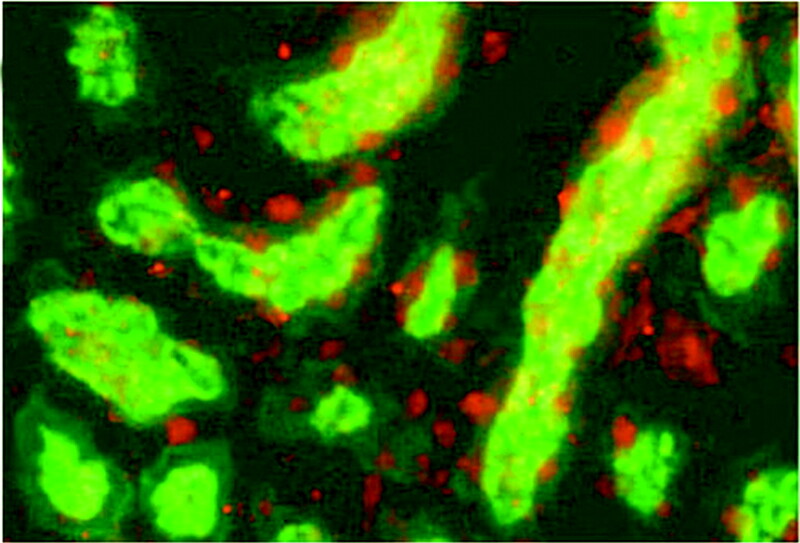 How do mesangial cells know what they’re doing? To coordinate their activities, adjacent cells talk to each other through clusters of transmembrane channels called gap junctions. Nitric oxide (NO) is a molecule of enormous interest not only for its vasodilatory effects on the vasculature, but because it regulates a number of other cell functions such as proliferation, migration, apoptosis, etc., and mesangial cells, of course, regulate local glomerular hemodynamics. In this paper, Yao and colleagues examine the effects of NO on mesangial cell signaling through gap junctions and show that NO regulates expression of the gap junction protein connexin through signaling pathways that involve protein kinase A, cGMP, and phosphodiesterase (pages 58–67). Obviously, the more in-depth our understanding of how processes like cell–cell communication occur, the better able we are to manipulate them when they work in maladaptive ways as occurs in states of glomerular hypertension and hyperfiltration or diabetes. Reining in transforming growth factor beta by SnoN. In recent years hepatocyte growth factor (HGF) has emerged as one of the most impressive anti-fibrotic agents known, based on the results of several studies in animal models of chronic kidney disease. Exactly how this works is not clear but published observations include reduced production of transforming growth factor β (TGF-β) and connective tissue growth factor, blockade of epithelial-to-mesenchymal transition (EMT) and myofibroblast formation and inhibition of inflammation. The present study by Yang et al. (pages 68–78) was designed to explore intracellular signaling events that could explain the ability of HGF to block TGF-β induced EMT. 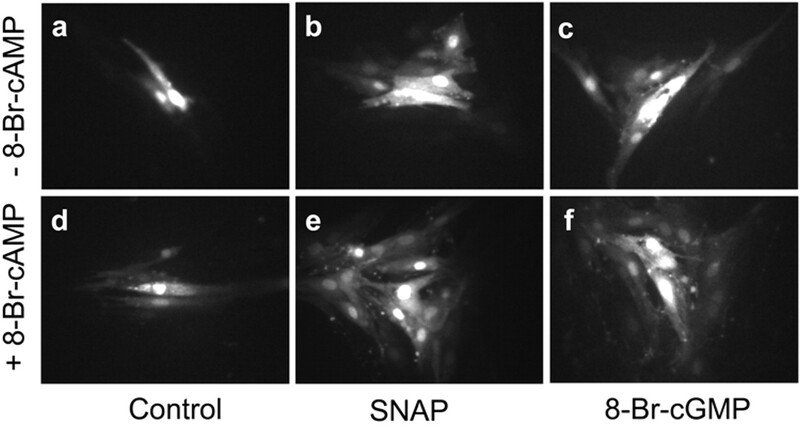 Beginning with the obvious candidates, HGF had only a modest effect on the expression of TGF-β itself and no effect on TGF-β receptors, phosphorylation and nuclear translocation of the stimulatory Smad2 or the inhibitory Smads 6 and 7. The novel finding was the ability of HGF to restore the expression of SnoN, a Smad transcriptional corepressor that blocks the actions of TGF-β by binding to and sequestering phosphorylated Smad2. An in vivo experiment confirmed the relevance of the initial in vitro experiments demonstrating that the decline in tubular SnoN expression after ureteral obstruction was prevented by HGF therapy, which has been previously reported to attenuate EMT and the severity of interstitial fibrosis. Septicemia, renal vasoconstriction, and acute renal failure—the enigma slowly unfolds. If the pathogenesis of acute renal failure (ARF) in humans is poorly understood, this is even more true for ARF in septicemia. 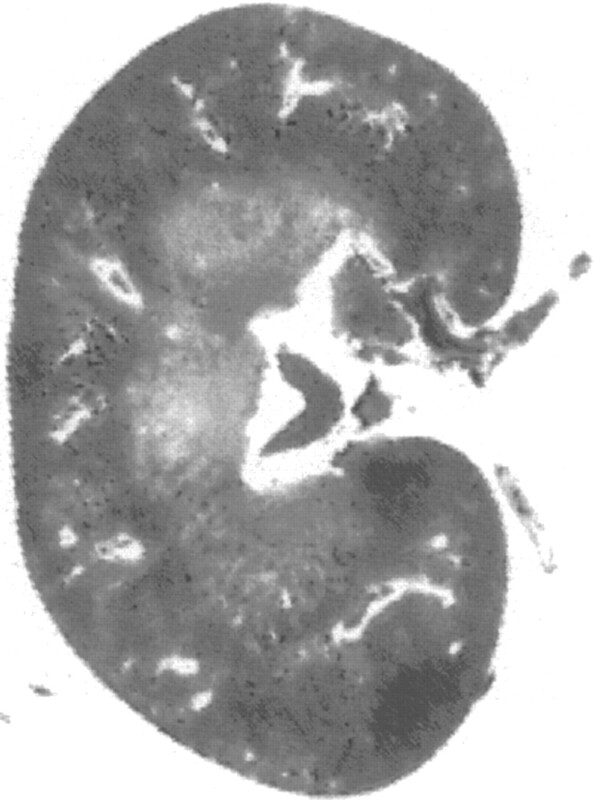 The kidney is unique in many respects and this again is shown in septicaemia where the kidney is intensely vasoconstricted, while extrarenal vascular beds are uniformly vasodilated secondary mainly to NO excess. In parallel, the response to most vasoconstrictor agents is reduced. In this issue, Boffa and Arendshorst (pages 117–124) try to identify which pressor mechanisms have gone wrong in renal and extrarenal vascular beds. In mice injected with LPS, the renal vasopressor responses to ANGII, norepinephrin, and NO synthase inhibition were unchanged compared to normal mice, in contrast to what was seen in the systemic circulation. Interestingly, AVP, which is currently intensely investigated in the treatment of septic shock, even decreased renovascular resistance and increased renal blood flow. To the extent that data in LPS-injected mice can be extrapolated to septicemic humans, this study brings us one step further in designing rational intervention strategies which obviously will have to stand the test of clinical evaluation. Tubules producing connective tissue growth factor: Shooting themselves in the foot? Since its discovery as one of the downstream targets of TGF-β, connective tissue growth factor (CTGF) has been proposed as an ideal target for anti-fibrotic therapy. However, until the recent study by Yokoi et al. (J Am Soc Nephrol 15: 1430–1440, 2004), animal studies were not available to support the efficacy of anti-CTGF therapy in chronic kidney disease. In that study, CTGF antisense therapy that was targeted to renal fibroblasts in rats with obstructive nephropathy was found to reduce the severity of renal fibrosis by approximately 60%. The study by Okada et al. reported in this issue of JASN (pages 133–143) adds a new dimension to the CTGF story. TGF-β was shown to increase renal tubular cell expression of CTGF both in vitro and in vivo in TGF-β-over-expressing mice with remnant kidneys. The intravenous administration of CTGF antisense oligonucleotides was found to selectively block tubular CTGF expression and to suppress interstitial fibrosis by almost 75%. Ironically, interstitial fibrosis ultimately leads to tubular epithelial cell apoptosis, tubular atrophy, and progressive nephron destruction. The present study illustrates that the tubular epithelium is an active participant in this fibrogenic cascade via the production of fibrosis-promoting molecules, in this case CTGF. Postcardiac surgery ATN—Can we predict who? The risk of adverse short- and long-term outcomes, including increased risk of death, associated with a decline in renal function following surgery is becoming increasingly clear. The report by Thakar and his colleagues in this issue (pages 162–168) addresses the possibility of prospectively identifying individuals at increased risk of postoperative acute renal failure. They have developed a prediction rule based on readily measurable patient characteristics that can be used preoperatively to stratify postoperative risk of acute renal failure requiring dialysis. Of note, in the highest risk category the rate of acute renal failure was 22%, substantially greater than the overall rate of 1.8% for the entire population. As noted by the authors, their risk prediction score should be validated in other populations and both the regression coefficients for the risk model and the scoring system derived from the model are reported. This is an important step in the development of a valid risk prediction tool for postoperative renal failure in cardiovascular surgery. Size matters with birth weight and kidney disease. Chronic kidney disease (CKD) occurs at increased rates among economically and socially disadvantaged populations. One mechanism proposed by Brenner and others that may contribute to this increased risk of CKD is a reduction in nephron number at birth due to genetic influences, intrauterine nutrition, and low birth weight. This intriguing fetal-origins hypothesis for CKD is an extension of David Barker’s observations over the last two decades that intrauterine nutrition may influence the subsequent lifetime risk of chronic diseases, including diabetes mellitus and atherosclerotic cardiovascular disease. Testing this hypothesis in human populations, of necessity, demands observational studies employing natural experiments that result in some combination of low birth weight, fetal malnutrition, and reduced nephron number. The report in this issue of JASN by Painter and her colleagues (pages 189–194) that individuals who passed through their second trimester of gestation during the Dutch Famine of World War II are at increased risk of proteinuria is an example of such a natural experiment. This report joins a growing literature in support of the fetal-origins hypothesis for CKD. Beyond the intrinsic interest of these observations, clinicians interested in the early detection and care of CKD should be aware that low birth weight may identify individuals at increased risk of proteinuria. Postoperative renal failure and long-term risk. There is growing recognition that impaired renal function increases risk of death among patients with cardiovascular disease, both acutely during hospitalization and in patients during follow-up. Loef and his colleagues (pages 195–200) extend these observations in issue of JASN with their report of an increased risk of death associated with a decline in kidney function following cardiac surgery both during the postoperative course and subsequent follow-up. Among the 17% of patients who experienced a 25% increment of their serum creatinine following cardiac surgery, risk of postoperative mortality was increased 83% and long-term mortality risk was increased 63%. The increased long-term risk was independent of baseline kidney function and was observed both among individuals with persistent and transient declines in function following surgery. These observations suggest that knowledge of post-operative renal function can be used to risk-stratify patients with respect to subsequent immediate and long-term risk of mortality. If this observation is sustained by other observational studies, then changes in renal function following cardiac, and perhaps other surgical procedures, may identify patients who might benefit from more intensive cardio- and renoprotective interventions. What injures glomeruli in poststreptococcal nephritis? 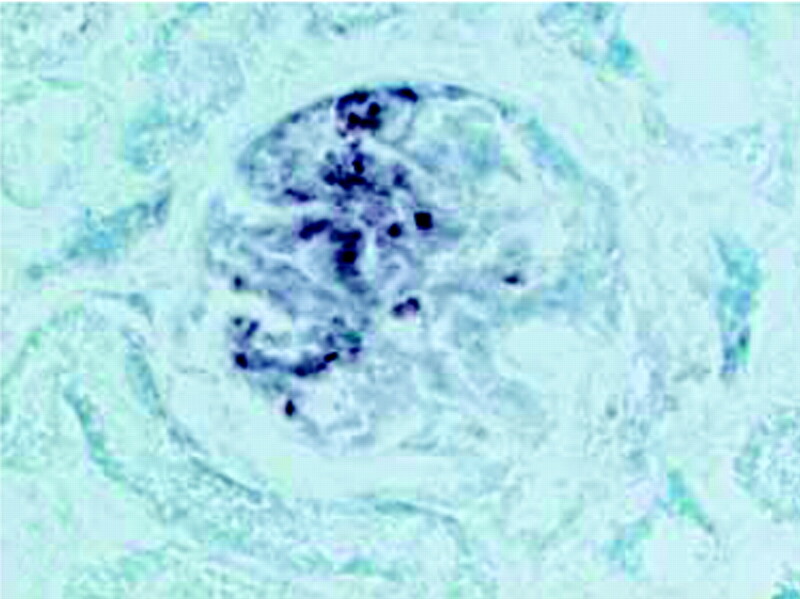 Although post-streptococcal nephritis (PSGN) has long been regarded as the prototypic human equivalent of acute serum sickness induced by deposition of immune complexes containing foreign antigen and antibody to it, the fact that immunoglobulin deposition is often not prominent in PSGN has long been puzzling. This has lead to the concept that perhaps the nephritogenic streptococcal antigens by themselves are glomerulotoxic. 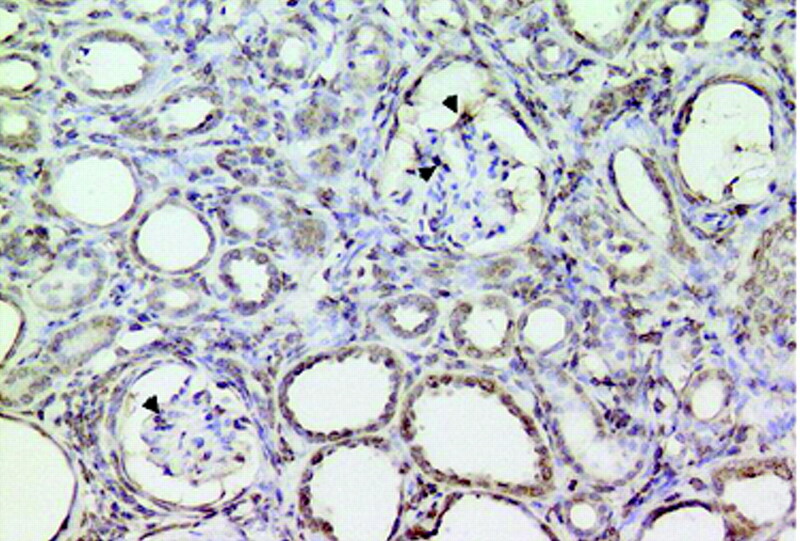 In previous studies, Yoshizawa and colleagues have provided strong evidence that a streptococcal protein called nephritis-associated plasmin receptor, or NAPir, may be the principal nephritogenic streptococcal antigen. In their article in this issue (pages 247–254), Oda et al. extend this observation to show that in humans with PSGN, glomerular localization of the NAPir is associated with increased proteolytic activity, as occurs in vitro when plasmin binds to NAPir, suggesting that the antigen itself may be responsible for tissue injury. This paradigm of antigen-induced nephrotoxicity, independent of antibody, is a new way of looking at human immune complex nephritis that may have implications for therapy as well.